SPECIAL FEATURES: This is truly a one-of-a-kind country estate located in Lapine, Alabama. The property is on Merritt Hay Rd and consists of a beautiful 2,896 sq/ft home (approximate sq/ft) and 5 +/- acres. As you enter this property through its private gated access you will see a gorgeous pond stocked full of f4 tiger bass and coppernose bluegill. 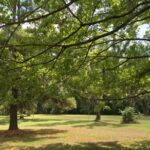 You will also quickly notice the multiple azaleas, hardwoods, pines and other attractive landscaping. 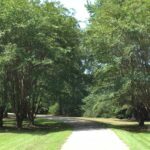 The house itself sits in a perfect location with the front porch looking down through the timber to the pond and the back sunroom looking out into the mature hardwoods. The home has 4 bedrooms and 3 bathrooms as well as is large and open kitchen that and gives you the exact feel you are looking for in a country estate. The bedrooms include 2 master bedrooms with their own private bathrooms. All the rooms have spacious closets including a walk-in pantry in the kitchen. There is also a large laundry room that is perfectly located with respect to the bedrooms. Finally, there is a sunroom which will likely be the room where you spend most your time, it is lovely. For more details on the home please see the ‘Quick Facts’ (next page) and also the pictures. 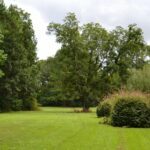 The land, as previously mentioned, is 5 +/- acres consisting of hardwoods, pines, a pond and multiple other features. 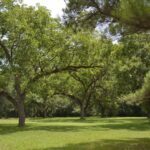 The entire tract is fenced with a gated entrance and a beautiful driveway. There is also underground power and water running throughout the property. These utilities run to the many different areas, including the pole barn, garden barn, outdoor cooking area and pond (and pond patio). There is also a large chicken coop and an already established garden. All these great features really make this a must see property for anyone looking to find a perfect mini-farm or quiet retreat. Approximately 2,896 sq./ft. 4 bedrooms and 3 bathrooms (2 master bedrooms great for guests). There are multiple linen closets, a large walk-in laundry room, large open kitchen w/ walk-in pantry, a sunroom with beautiful views of the surrounding hardwoods. Also, the septic was pumped in 2017 and has new fill lines. Heartwood Country Estate from John Hall on Vimeo.